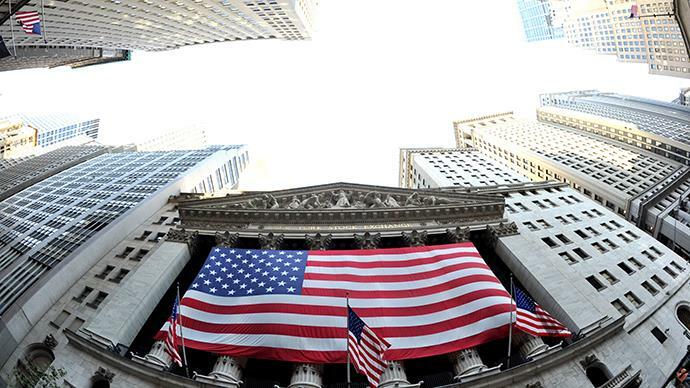 NEW YORK, Jan. 25 (Xinhua) -- The U.S. economy is widely expected to grow in a slower manner but unlikely to enter recession in the medium term, according to U.S. experts and business executives. Earlier, partial inverted yield curve of U.S. Treasury bonds in December 2018 triggered grim concerns about a possible recession of U.S. economy. Still, overall better-than-expected operating results of U.S. listed companies revealed so far for the period of the fourth quarter of 2018 and the signs of stabilization shown by some economic indicators helped restore some confidence and enabled a material recovery of stock markets amid dovish tones of top officials with the Federal Reserve (Fed). The high economic growth in the United States in the second and third quarters of 2018 is more likely to be a sugar rush and it would slow down as benefits of tax cuts wane, said Albert Brenner, director of asset allocation strategy with People's United Bank Wealth Management (PUBWM), on Friday. Still, recent worries about recession in the U.S. economy are way overblown, said Brenner. Brenner expected the U.S. economy to expand 2.6 percent in 2019, 2.2 percent in 2020 and 2.1 percent in 2021. "While economic and earnings growth is slowing, we believe it is unlikely that growth will drop far below trend," said Mark Haefele, chief investment officer with UBS Global Wealth Management in a research note issued on Friday. U.S. stock prices at the end of 2019 would be higher than the current level and it would not be a surprise if the stock markets go through another dip before getting there, said Brenner. "Equities have historically performed well as the economy entered the last-cycle stage, with annualized returns over 10 percent. Only when a recession is truly imminent have equities materially sold off," said Brian Rose, senior economist with chief investment office of UBS Global Wealth Management for Americas. Fed Chairman Jerome Powell's statement saying it is long way for U.S. interest rate to reach neutral level in October 2018 served as the biggest single factor leading to a crash of stock markets in the fourth quarter of 2018, Brenner said. The Fed would raise benchmark interest rate to 2.75 percent to 3 percent in 2019 by one or two hikes, according to PUBWM. Brenner doesn't see corporate debt as a problem now as the cost of debt finance is lower than equity finance. The impact of rising debt with the U.S. government is like slow poisoning with likely little impacts now but severe ones in long term, said Brenner. Brenner noted the United States wants the kind of benefits present in Europe but not a tax structure like that in Europe.